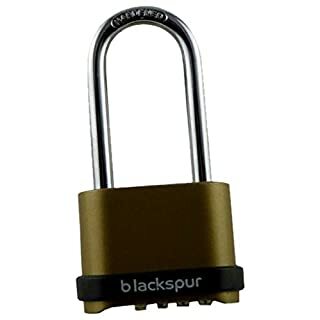 Shackle Silver Lock for Sheds,Storage Unit, Gym and Fence Specifications - Material: Stainless Steel - Size: 70mm,or 2-3/4" Body Width,Hardened 3/8" (9.58mm) Steel Shackle, Depth 19mm - Product weight: 255 g/0.56 lbPackage include - 1 * Padlock,1*English instructionHow to set Disc Padlock Combination Code 1.Turn Dials to opening combination(Factory default is 0-0-0-0).2.Slide black lever underneath combination right to left to open shackle.3.On the back of Lock,use screw driver to turn change screw counter clockwise 90 degree to horizontal position.4.Lock is now in reset mode.Turn dials to desired combination.5.Double check dials that they are at desired combination.✔Turn reset screw clockwise 90 degrees bank to original vertical position.6.Lock is set to new combination now.Please write down the new password so you can remember your passwords.✔Important Note:You are not able to lock padlock until you finish step.Sell Service - Quality problems occur within one year replacement, lifetime warranty.If you have any problems please feel free to contact us,we will reply to you within 8 hours and give you a satisfactory solution. 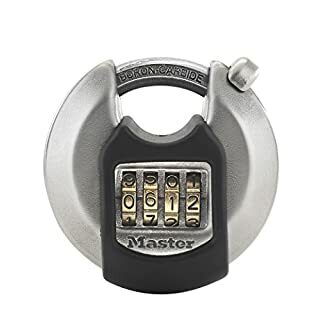 Bosvision 64mm Resettable Combination Padlock with 7.8mm shackle for gate, lodge, locker, luggage. 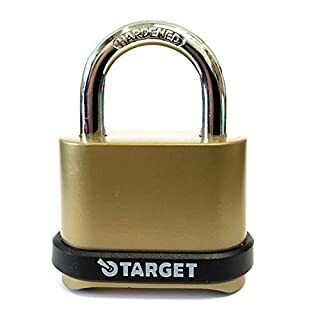 Target Locks® 4 Digit Combination Heavy Duty High Security Padlocks. 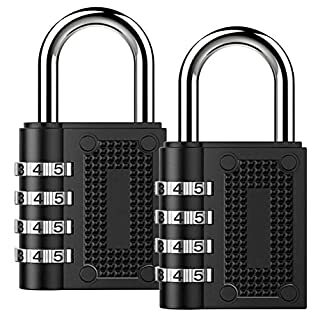 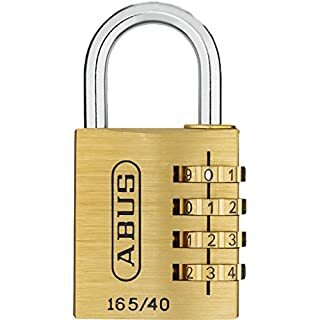 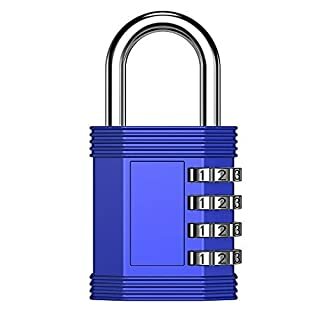 15.5cm 4 Digit Long Combination Padlock by Kurtzy We all want to keep our possessions safe without the hassle of having a key, which can easily be lost. 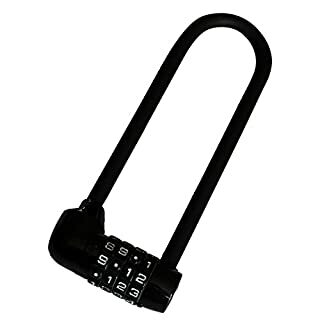 Whether you are using this at the gym on your locker, or at home on your gate, it will protect your belongings. 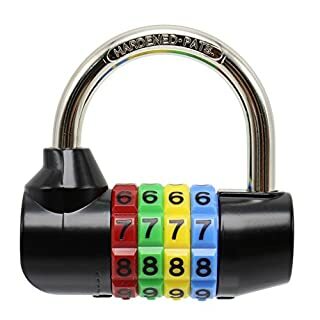 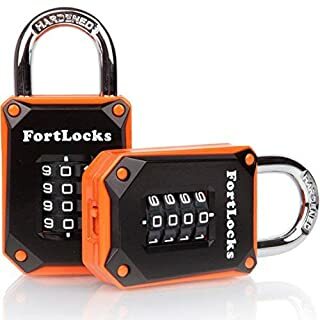 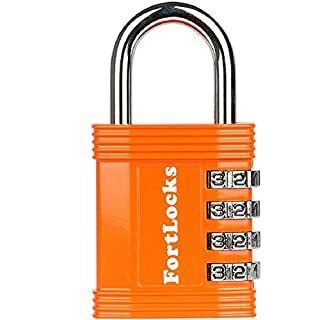 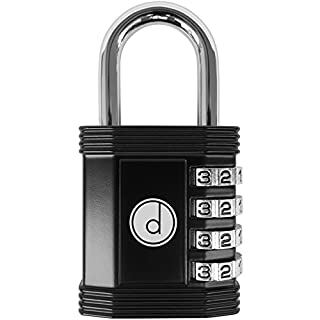 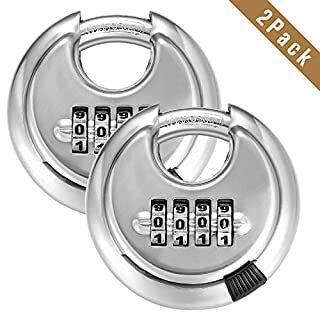 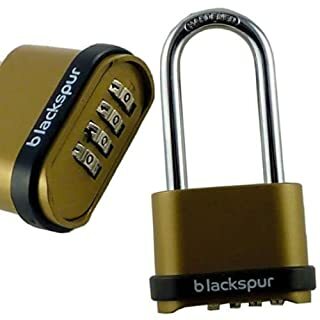 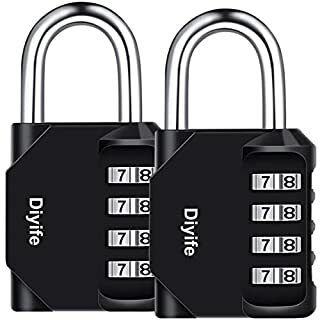 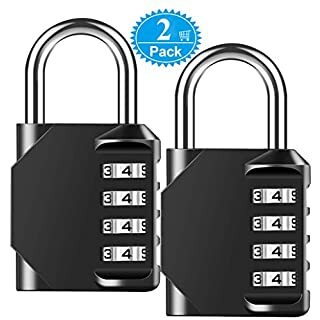 What's Included:- 1 x combination padlockDimensions:- Total length: 15.5cm / 6.10"- Lock Width: 5cm / 1.96" How to change your number combination? 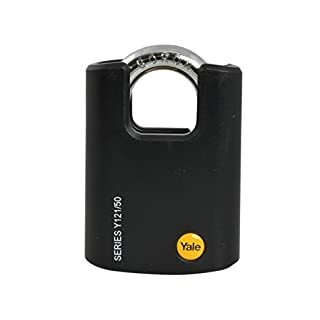 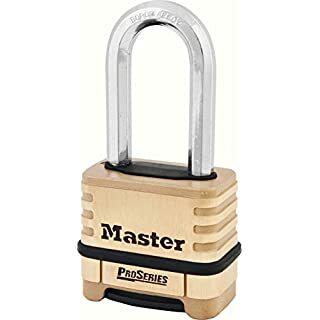 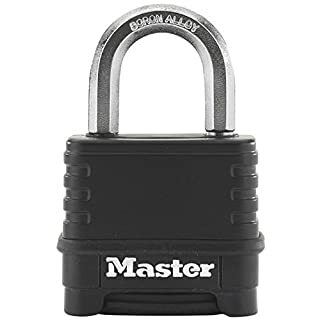 Specifications: Body dimensions: 58 x 77 x 24.6mm.Padlock total height: 109mm.Shackle internal: 23 x 24mm.Shackle thickness: 9mm.The Yale Y121 Brass Closed Shackle Padlocks offer high security and are suitable for outdoor use. 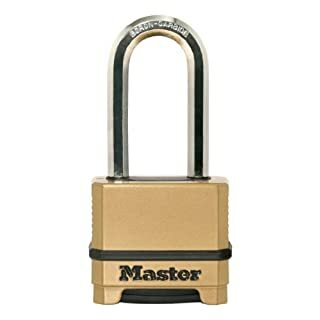 They have a protective cover and a precision 5-pin cylinder with anti pick mushroom pins to withstand attack. 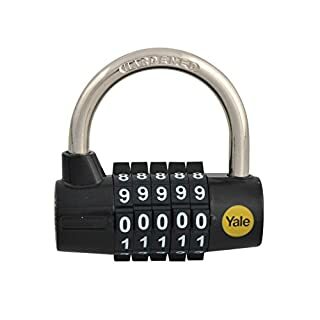 A chrome hardened steel closed shackle makes these padlocks harder to attack through additional strength and difficulty to access.Tested to EN12320:2001, the Y121 padlocks achieve a CEN2 rating.